On-demand TV revenues from movies and TV programmes (and excluding revenues from other sources such as sports and adult and also excluding SVoD packages and the Internet) will reach $6.0 billion in 2017, up from $3.9 billion in 2011 and $2.3 billion in 2007, according to findings from Digital TV Research. The On-demand TV Revenue Forecasts report estimates that the US will contribute US$1.8 billion to the total in 2017 – or 30 per cent of the global total. The US provided 46 per cent of the 2007 total. Italy will be second placed by 2017; doubling its revenues from its 2007 total. China ($550 million) will be third by 2017; having risen from only $30 million in 2007. From the $3.7 billion extra on-demand revenues to be added between 2007 and 2017, $1.2 billion will come from the Asia Pacific region and US$1.0 billion from Western Europe. The USA alone will add $750 million, followed by China ($520 million) and Italy ($327 million). Digital cable will generate $2.74 billion in 2017 (or 46 per cent of the total), up from $1.61 billion recorded in 2011. The USA will provide $944 million in 2017, with China second with $418 million. DTH/DBS will remain the second largest contributor, with $1.7 billion in 2017. The US ($610 million) will again remain the leader. The UK will take second place, with $193 million. 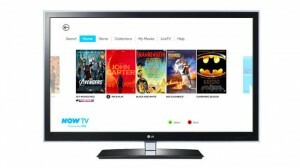 IPTV on-demand revenues will overtake DTT in 2012 to become the third largest on-demand revenues platform. IPTV on-demand revenues will reach $946 million by 2017. DTT on-demand revenues are mainly confined to Western Europe, especially Italy ($572 million by 2017). By region, North America and Western Europe will still supply two-thirds of global on-demand TV revenues by 2017, although this proportion is down from three-quarters in 2011. However, on-demand TV revenues will increase by 145 per cent in the Asia Pacific region over the same period to reach $1.38 billion in 2017. China will provide a lot of this growth, according to DTVR.